A sincere thank you to the 2015 Event Sponsors, for making this event truly memorable! Dr. Steve Head was appointed as the fourth Chancellor of the Lone Start College System after a thirty-year history of high-level positions at LSCS. He is extremely active in the community, and also lectures in the higher education doctoral program at Sam Houston State University. Dr. Head is a Charter Member of the Pearl Fincher Museum of Fine Arts, and served on the Board of Directors of the Pearl until 2009. We are excited to welcome this year's guest speaker: renowned Fabergé collector Mrs. Dorothy McFerrin. Dorothy and Artie McFerrin have displayed selections from their extraordinary collection of Fabergé objects at the Houston Museum of Natural Science on three separate occasions. The current exhibition, entitled "Fabergé: From a Snowflake to an Iceberg" is on display at HMNS until December 31, 2015. Tatiana Fabergé (great-grandaughter of Russian artisan Carl Fabergé) has called the McFerrin Collection "one of the world's great gems." 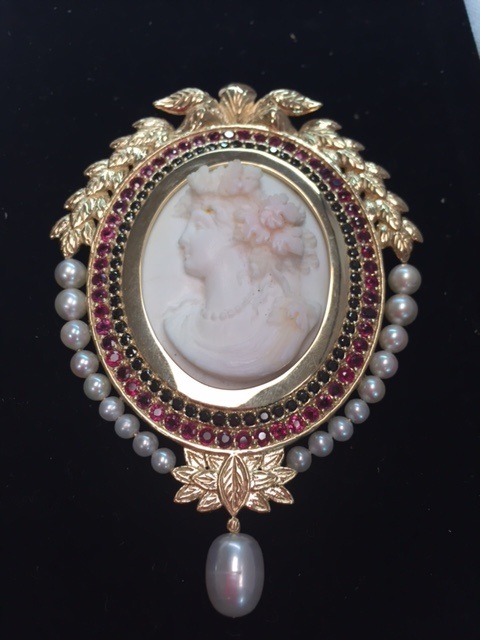 Don't miss the chance to see this fabulous collection before hearing Mrs. McFerrin at the Afternoon Tea on November 5! 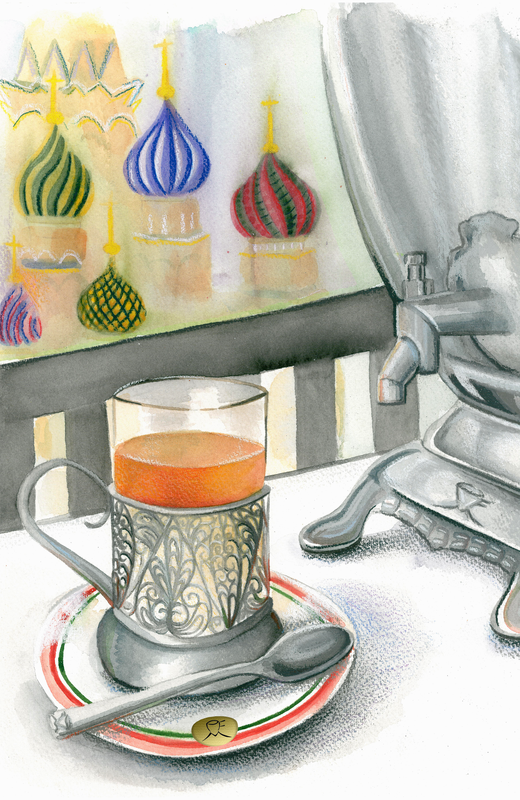 The 2015 Tea with the Czars will feature five fabulous raffle prizes, and each will be drawn for separately. It is up to you to decide - Should you spread your luck and try for all five prizes? Or do you want to put all of your ~ Fabergé ~ eggs in one basket and try for that one prize you just can't live without? 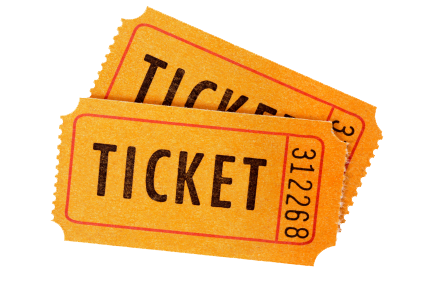 What's even better, every table or ticket purchase includes one free raffle ticket per seat. Additional tickets may be purchased for $10 each, or 6 for $50. Tickets may be purchased in advance or at the event itself, and there is no limit to the number of tickets you may purchase. Good luck! 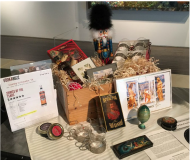 This incredible collection of Russian-themed items, including (but not limited to) a bottle of Spirits of the Tsars vodka, caviar, a gorgeous nutcracker, Russian "Royal Tea", and a set of authentic Russian tea cups! 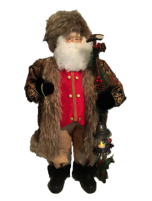 This authentic, 3-foot tall figure is a stunning depiction of Father Christmas. 4 tickets to the Houston Dance Theatre's Nutcracker performance & complimentary Sunday brunch at Northgate Country Club. Get ahead on all of your holiday shopping at the 2015 Afternoon Tea! Six wonderful vendors will be representing their businesses at the 2015 Tea for you to peruse at your leisure. Click Here to purchase your table or tickets to the 2015 Afternoon Tea. For sponsorship and volunteer opportunities, please contact Development & Exhibitions Director Laura Baker at laura@pearlmfa.org or 281.376.6322.